Ever wanted to learn to paint? Pastels are a wonderful medium, whether you are a beginner or want to learn new techniques please join me. This 7 week course will give you a great understanding of all aspects of pastel painting. 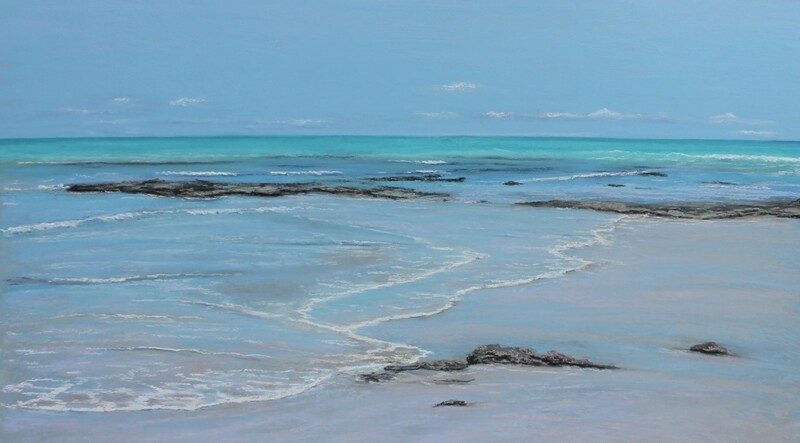 I am a pastel artist and paint our wonderful coastal beaches. I will guide you what brand of pastel to use when and where and what colour board to use for each individual painting. 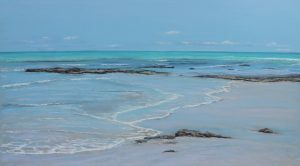 Seascapes – You will learn how to create footprints in the sand, the use of light and creating wonderful shadows in your paintings. Lean how to create great waves, rocks and seaweed, stormy clouds and foliage. Choose your own genre – you can work on animals, portraiture, still life, seascapes – you are in control of what you choose to paint – I will still provide weekly demonstrations on how to paint certain subjects. Do I need experience to attend your classes? I am always asked this question and no you do not need any experience at all. My classes are designed so you can follow me step by step. Once you have confidence I will encourage you to play with colour and experiment on your own. What benefits will I get from painting? Learning a new skill is always a bit daunting but my classes are filled with laughter and there is no pressure, everyone works at their own pace. Once you get over your fear and learn to relax the possibilities are endless – I will show you how to capture light and shade in your work, when to blend and what colours to use. Before you know it you will be looking at the world through an artist’s eye. The social aspects are great too, many friendships are formed in my classes and everyone is helpful and supportive. How will I know what to paint? That is easy, each week I bring a folder full of images and you get to choose your own image and if you prefer bring something from home to paint. Do I need to bring anything to class? I provide all the easels and tape, you will need to bring your own pastels, paints, paper and canvas can be purchased on the day at the shop. If you don’t have your own pastels you can use mine for a fee of $10 per class. Also it pays to bring some baby wipes to clean your hands as we all end up looking like pastel warriors at the end of the day with it all over our faces! Frendz Art and Craft Supplies offer a discount to all students if you purchase at the venue. There is also a pastel pack made up with all the pastels above so you will be ready to go. The one-day workshop provides an opportunity to spend the day focusing on pastel painting and caters to a range of different skill levels. Whether you’re looking to improve on already-existing skills or just dip your toe into something new, the workshop program provides a relaxed happy environment to learn about pastel painting. At each workshop I will begin by giving a demonstration and then you will commence on your own piece. I will continue to guide you throughout the course of the workshop. I have many photographs that you can choose from for your inspiration or alternatively please feel free to bring your own photograph. Learn how to create beautiful sweeping clouds and reflections upon the shoreline. Learn to capture sunny days at Rottnest Island, this workshop will cover setting in your composition carefully to create a well balanced painting. Learn how to include buildings and trees and various types of foliage. We will also look in more detail at creating Rottnest’s beautiful crystal clear water and alluring reef.